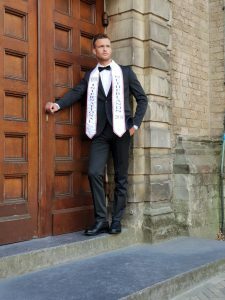 During the pageant weekend of 16 and 17 juni, when 5 kings were crowned, Claudio Schoorstra was crowned Mister International Netherlands 2018. It is for the 7th time the Netherlands will be represented at the Mister International pageant. For national director Lyron Martina, it will be his fourth international final. Although Claudio is his 5th winner, but his first one, Micheal Glenn did not make it to the finals due to Visa problems. 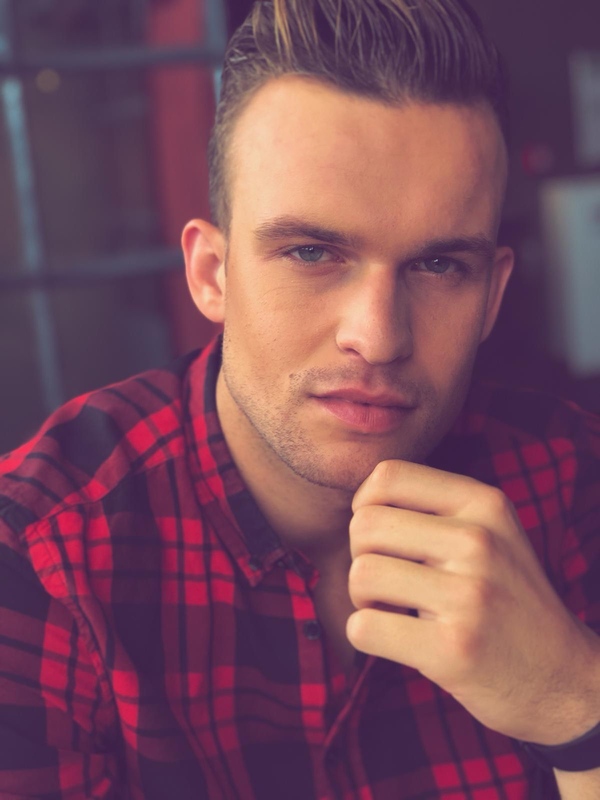 The Netherlands have been successful at 3 finals so far, in 2008, Vincent Cleuren became 4th runner-up, in 2017 at Mister International 2016, Chris Veltkamp became top 6 and this year, Jeremy Lensink, became Mister Congeniality and a semi-finalist at Mister International 2017.
Who is Claudio Schoorstra and what are the 3 words that describe you best? Curious, I try new things all the time and I want to discover how things work or how to do them better in future. Social, I really love to meet new people, other cultures and religions. I like to learn how other people live and how they look at the world. Honest, In my past I learned a lot how important it is to be honest to yourself and to the people around you. The only one who is deluding you with lying is yourself. What made you decide to enter the world of male beauty-pageants and how was it to compete? It all started with a joke, but the joke became very serious and I had a lot of fun with the preparations. Someone else enrolled me. So two days before the casting, that person sent me a message: ‘Hi, you have a casting in Utrecht next saturday. Put on a nice suit and take your swimwear with you’. I said ‘ok, but for what is the casting for?’, ‘Just go!’, ‘yeah ok, go crazy! I will be there’. It was only when I got into the building, that I realized that I joined the casting for Mister International. How did you prepare for the national pageant and how will you prepare for the international pageant? For the national pageant I went to the gym 3-4 times a week. We also had catwalk training, presentation training and photoshoots, all under supervision of Lyron Martina, our National Director. For the International pageant I got my own preparations. Still going to the gym and the photoshoots and catwalk training, under supervision of Lyron Martina. And I got to watch othershows and pageants, how they perform or do their presentation. I am in contact with companies for sponsoring; to learn how to communicate with companies and making new contacts. 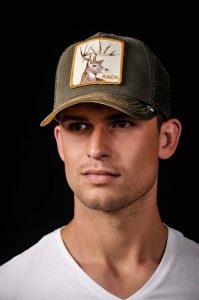 The slogan of Mister International Netherlands is ‘More Than Beauty’. What is your contribution to this slogan? Well that is a good question and is a little bit difficult to explain, because I am who I am in every situation, also on stage. Maybe that is my ‘more than beauty moment’: I enjoy the little things in life. I am not afraid to learn new things. I dare to be vulnerable. It is not only the outside that matters, I want to show people that it’s all about who you are, my self, my decisiveness and my kindness. You can have the best body and the most handsome look on your face, but if you acting like a jerk, arrogant and selfish, you have nothing left. In the Netherlands you can be who you want to be and no one will judge you for it! The Netherlands is an easy going, tolerant country. It is ok to be YOU! I am proud to be able to serve my country and to provide people that little bit of safety and being able to open up and be who they want to be. Mister International provides tools which help men to be their personal best. What area do you think you have to work on most, to get to your personal best and why? To be honest, I really need to lose some belly fat. The other candidates are so muscular! I also think I have to work on my poses (in front of the camera). In this pageant my best picture was a selfie on a holiday trip with a cocktail. The last few years the Dutch guys do very well at the international pageants. What do you think is the cause of this success? Dutch people have a special attitude and are not afraid to fail, so they just do it. They are down to earth. We are open minded, tall and have a lot of mixed cultures in our country. I really hope I have that much success when I am in Asia. We are who we are and nothing better or less. What part of Mister International 2018 do you look forward to the most and why? The trip to Asia of course! The most distant I have ever been to, was Madeira Portugal. This will be the first time out of European Union and also in these special circumstances. I am very curious about the country we will go to and all the other candidates, to meet them in real life. What is your live’s slogan and how does it implement in your lifestyle? My life slogan is ‘go crazy’, cause every time I say that, something special happens in my life. What about Claudio Schoorstra in 10 years ? I really have no idea! I hope I had a wonderful time in the modelling industry. Made amazing new friends and learned cool things. 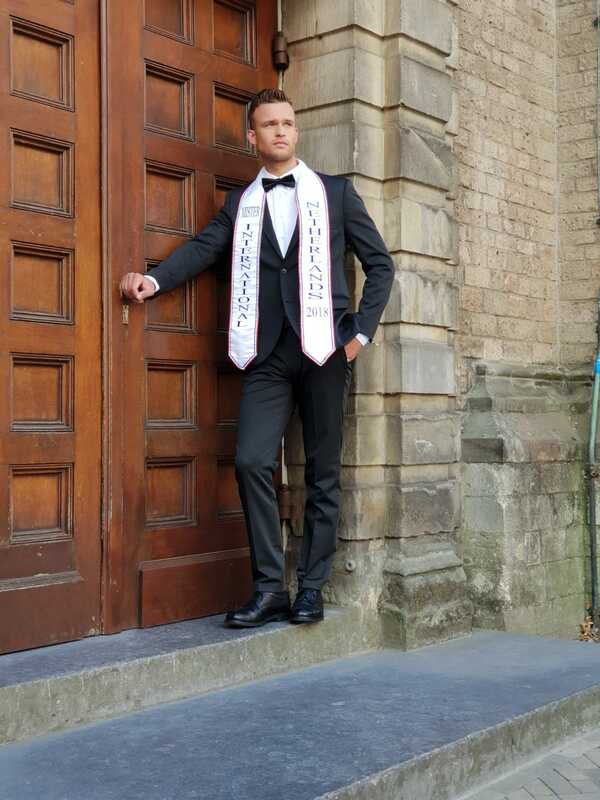 I hope I will still be involved at the organization of Mister International Netherlands. Secretly I hope someone discovers my acting talent/modelling work and helps me in the world of television, musicals and theater. We will see. But now I enjoy every minute of life now. Thank you Claudio for taken the time to answer our 10 questions and we wish you all the best of luck during the international finals. Also a big thank to Lyron Martina, who we always support for doing a great job.